Your conditions of entry to Finland are re-evaluated upon arrival in the country. In addition to your visa, you are asked to produce a valid passport or travel document, an insurance document for the duration of your stay and the supporting documents. You must prove that you have enough funds (EUR 30 per day) to support yourself. The funds need to be sufficient for your stay and return or continuation trip. If you have a valid return ticket, its value reduces the amount of funds you are required to have with you. You must not have an entry ban to the Schengen area. Your entry into the country can be prohibited also if you are considered to constitute a danger to the public order and security, public health, or Finland's relations with other countries. Furthermore, your entry may be refused if there is reason to suspect that you intend to earn money by dishonest means. 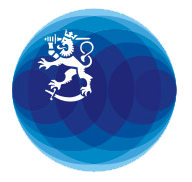 Local police authorities can extend the visa's period of validity in Finland, if you cannot leave Finland and the Schengen area due to a force majeure or humanitarian reason. Decisions on extending the validity of a visa are made by the Police.